Went ahead and jumped on BossCoin in the alternate cryptos when someone asked cryptsy if they'd support it in the IRC chat. Been mining for a couple of hours now, I think. 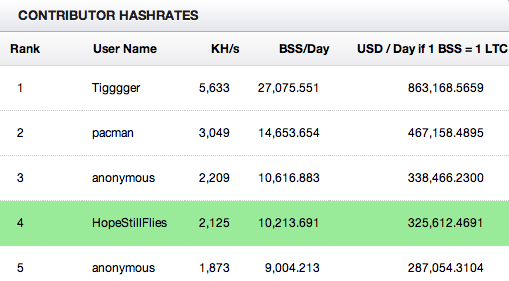 I mostly just wanted to post to ask the reasoning why the pool equates value of 1 BSS to 1 LTC. That's so silly. And apparently I have to disable my VPN to post? Pretty silly considering PIA sponsors you guys. I guess to make the figures look better.